When my son (who at the time of writing is 4 years old) was born, I felt connected with the vastness of eternity in a way that I had never felt before. Having a a child of your own is an amazing experience – seeing someone who looks like you playing, learning, being mischievous in the same way that you must have been. I imagined how my genetics, but more importantly the influence I imparted on him would be carried on, and in turn this would be repeated by him. In turn, I reflected on how my own life is a continuation of a long sequence of influences that will have built up through successive generations. Of course we have many other influences that make us who we are – not just our parents – but the influence imparted by parents on children in their formative years is a potent subliminal influence that remains with them throughout their lives. The act of imparting this deep influence on a child during their early years is for most people the single most important influence that we have had on the world that endures beyond our deaths. The subject I wish to write about is not the amazing experience of having a child, but rather to consider a subject which often appears baffling and contradictory within Hinduism: whether our own actions are capable of having any influence on the well-being of our deceased ancestors, and by the same coin, the potential of our descendant’ actions to effect our own karmic well-being after death. The idea that our actions can affect our ancestors’ position appears difficult to grasp when put side by side with the concept of individual karma. Shouldn’t the position of our ancestors’ souls in the cosmic process be determined solely by their own karma? 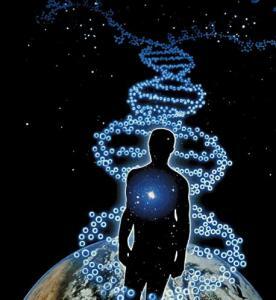 Furthermore, our ancestors do not exist anymore as our ancestors; they have been reincarnated in totally different lives. But with deeper thought into the concepts and issues involved, the apparent contradiction is not very difficult to reconcile. To make a simple example, if a parent brings up a child very meanly and abusively, and that child goes on to torment others, then the parent continues to be accountable for what the child does, and this accountability may continue beyond death in so much as impact continues through future generations. It is the parent’s karma as well as the child’s. By contrast, if a child goes on to do great deeds in the world due to influences and values which the parent helped instil, then that the child’s karma is partly the parent’s, and the fruits continue to be experienced. The jivatma (individual soul) is reincarnated while it experiences everything it needs to in order to become one with the Supreme Soul. Karma (actions and their results) have a continued effect on the soul throughout the journey. The ultimate outcomes of karmas in the world continues even after a particular life is over. Whatever good or bad in the world follows as a result of our actions and the influences that we set into motion during our lives, persists beyond death; the karmic consequences continue to be experienced by our souls. We can be conduits through which the noble actions of our ancestors continue to be a living force in the material world. We can provide some level of mitigation for bad karmas and influences they may have exerted, by refusing to let them be a continued influence. There is a deep karmic connection between successive generations. It is not easy to grasp or visualise with the mind, but one can feel it crystal clear in the process of parenthood. It is this karmic connection between past and present which is the concept underlying Hinduism’s concern for ancestors and descendants, epitomised through through the rituals associated with the rights of passage (samskaras) and festivals such as Shraadha. « Is it OK to “leave justice to Karma”?